Everyone deserves to look and feel beautiful, and you can with this 3 pair set of unique round-cut cubic zirconia sterling silver earring studs. Ice Cubic Zirconia stones feature an icy opaque and glittery opalescent shade. 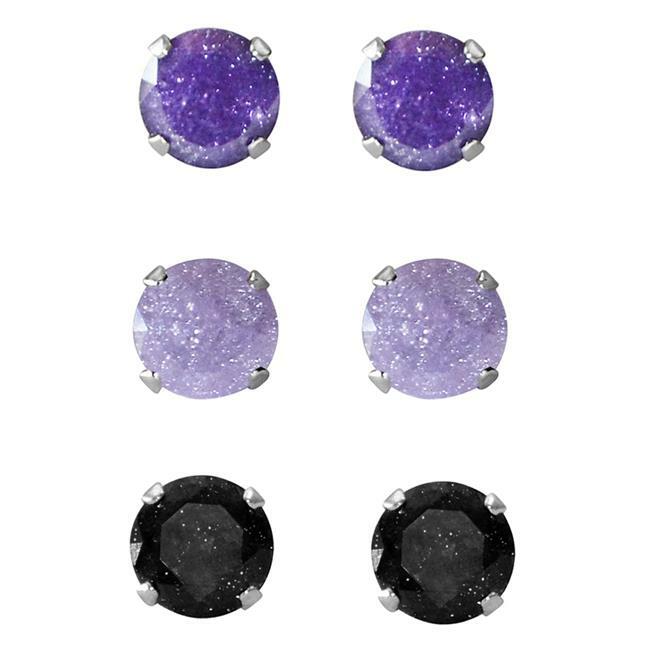 The set includes one pair each of a sparkling Violet Light Purple, and Black-colored 9-mm cubic zirconia, which are equivalent to approximately 5.5 carat total weight in diamond size. These earrings are a wonderful gift idea for a birthday, bridesmaids gifts, Christmas gifts and so much more.